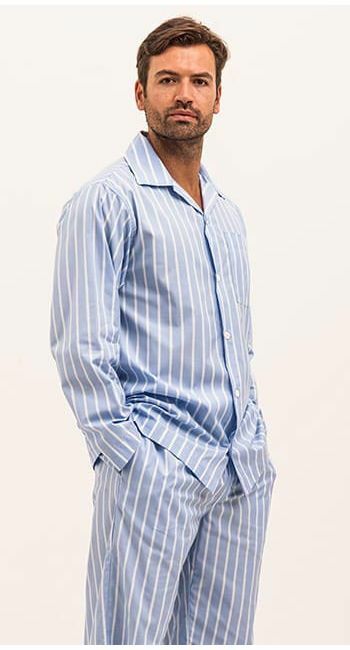 These smart red stripe pjs are an exciting addition to our men's finest cotton pyjama collection. 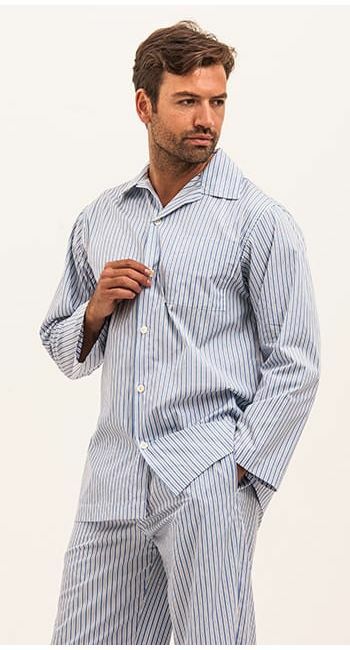 This stunning fabric is woven from a combination of Egyptian cotton and Indian cotton. Available in two leg lengths. 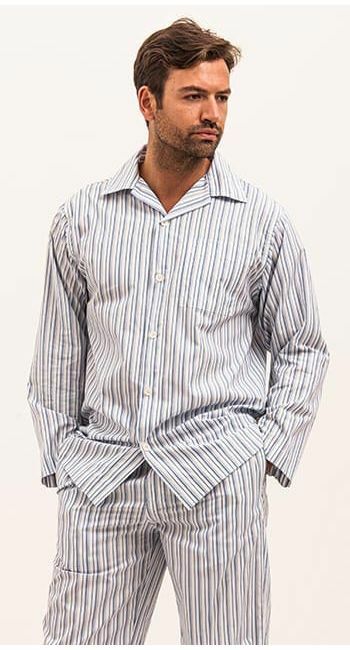 Tall size fits inside leg of up to 36" and has an extra inch on the sleeves. British made and finished with real shell buttons.